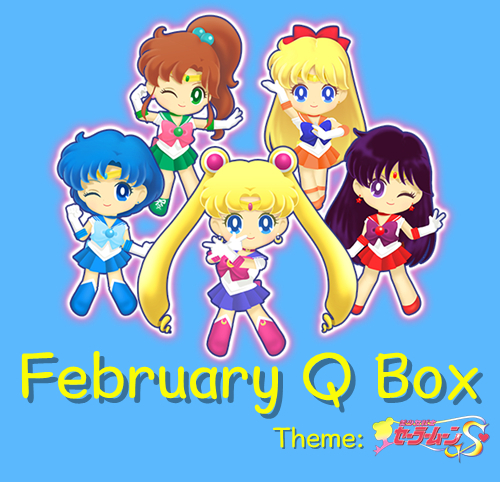 My wife just received her Sailor Moon QBox, and I am sorry to say it is full of nothing but bootlegs. Nothing has the Toei seal of approval. My wife has done numerous panels at our local anime convention over the years about spotting bootlegs, and we laughed on sight at what we got. So sorry to hear that! That’s really upsetting especially since the website claims it is officially licensed merchandise. I decided to pass though just by glancing at http://www.getqbox.com/past-q-boxes/ Everything seems small/cheap and not nice / large items like the Pusheen or Sanrio crates from other distributors. The quality of Qbox reminded me of Dokidoki which I was really unhappy with and cancelled after my first box. Not surprisingly, it also suffered from bootleg goods.